On the far planet Wing IV, a brilliant scientist creates the humanoids - sleek black androids programmed to serve humanity. But are they perfect servants - or perfect masters? 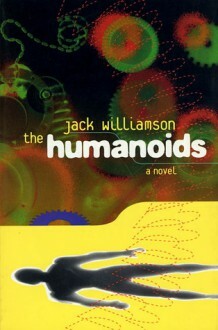 Slowly the humanoids spread throughout the galaxy, threatening to stifle all human endeavor. Only a hidden group of rebels can stem the humanoid tide...if it's not already too late.